The worldwide 3D printing metal market was valued at USD 454.6 million and is estimated to grow at a CAGR of 23.6% from 2018 to 2026. 3D printing (3DP) metals are used in additives manufacturing technology in which the materials are fused together to create a three-dimensional structure of layers on the substrate. This manufacturing process is a type of additive manufacturing technology and is a small part of metal industry with broader growth prospects in the near future. Rapid advancements in materials and technology have significantly driven the growth of 3D printing beyond the hype stage. Some of the primary parameters concerning the readiness to leverage it for tools, fixtures, prototyping, and even finished products include its availability of materials, quality and speed, and executive interest in evaluating it for embedding in the existing manufacturing technologies. The 3DP metals industry in the current scenario is a nascent market with prototyping as its first industrial growth application. Product development and innovation are the other two crucial factors in tandem with prototyping that are pursuing manufacturers to adopt 3D printing. 3DP market is anticipated to witness very high growth on account of extensive R&D and researchers coming up with advanced metals and economical software. Global 3D printing market is majorly driven by demand from aerospace & defense and medical industry. In the aerospace & defense industry, 3D metal printing was initially geared towards tooling and prototyping applications. However, in the recent years, the technology has found success in end-part production due to factors such as reduced lead time (as compared to the conventional processes) and improved manufacturability. Technological advancements in 3D printers is another important factor supporting the growth of 3D printing metals market. Currently, the different composition of metal alloys as per the specific end-product requirements has been made possible by developments in the 3D printers. Growing number of highly active market players in the 3DP metal industry is expected to result in a very high market growth. Powder 3D printing metals account for the larger market share due to the pure chemical composition of metals that makes them viable for precise manufacturing of products. Filament is another state of 3DP metals, where these materials are mix of polymers and metals. On the basis of metal type, the market is segmented into aluminum, titanium, nickel, and stainless steel. Titanium among these is one the most popular metal type due to its superior characteristics such as high strength, lightweight, and corrosion resistance. 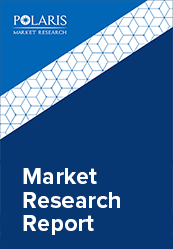 The end-use segmentation of the global 3D printing metal market includes aerospace & defence industry, medical, automotive, and few others. Aerospace & defence is anticipated to be the largest & fastest growing end-use sector for the market as this end-use is propelled by new technologies and showcases the ability to bear high initial costs of the 3DP technology. North America is the largest regional market for the global 3D printing metals market. Rapidly growing manufacturing industry in the region with the presence of large market players and their early adoption of modern techniques is expected to fuel the demand for this additive manufacturing technology in the region. Asia Pacific is likely to witness considerable growth over the forecast period. Growing economic development of Asian countries including China, India, South Korea, and Japan concerning the growth of manufacturing sector is supposed to be the major driver for this regional market. However, initial high technology cost is likely to be a restraint for many developing countries in APAC. 3D printing metal markets is a part of global 3D printing industry, which holds an advantage of shorter value chain. The industry has already witnessed significant interests from many international manufacturing companies, whereas others are likely to enter this promising market in several ways such as 3D printing end-products or servicing 3D printer operations. Some of the major 3D printing metal market players include 3D Systems Corporation, Arcam AB, MaterialiseNV, ExOne GmbH, Hoganas AB, Renishaw Plc, Equispheres, Carpenter Technology Corporation, and Sandvik AB.